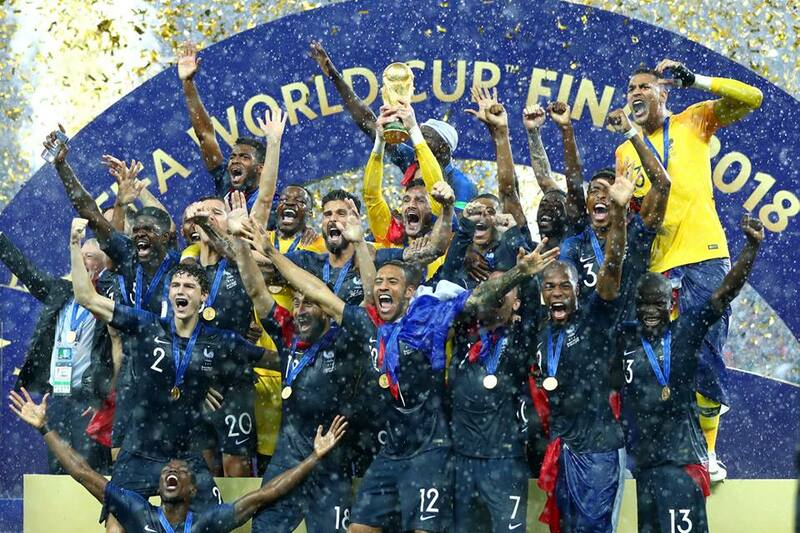 France beat Croatia 4-2 in the 2018 FIFA World Cup final to lift the world cup trophy for the second time in their history. With this victory, Didier Deschamps has become the third man after Mario Zagallo (Brazil) and Franz Beckenbauer (Germany) to lift the world cup both as a player and as a coach. An early own goal from Mario Mandzukic put France forward before Ivan Perisic scored the equalizer. Griezmann gave France the lead after the referee awarded them a penalty by consulting VAR for the first time in the history of a world cup final. Two superb goals from Pogba and Mbappe sealed the deal for Les Bleus before Mandzukic pulled one back from a Hugo Lloris howler. But Croatia could not find the back of the net anymore and France sealed the deal in 90 minutes. The final at the Luzhniki Stadium was a thriller for the football fans. Contrary to the last four editions of the FIFA World Cup finals, this was a goal-fest. That became clear after the first half ended with three goals and France leading 2-1. With the completion of the 90th minute, the spectators from all across the globe witnessed six goals, which is the sum of all the goals scored in the last four world cup finals. Croatia began the game confidently and spent most of the early period of the game inside the French half. Against the tide of the game, France got a free-kick after a clumsy challenge by Brozovic on Griezmann about 30 yards from the goal. Griezmann sent the ball towards the penalty area and Mandzukic’s header unfortunately failed to clear the ball, finding the back of the net in the 18th minute. But as seen from the previous three games, Croatia came back once again after trailing 1-0. 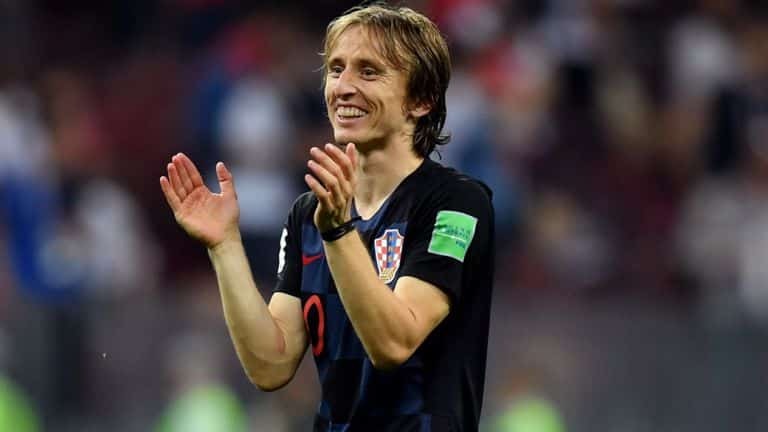 Ivan Perisic’s left-footed strike went past Lloris from a brilliant floating free-kick from Modric. Vrsalko headed the ball from the far post to Perisic who calmly struck the ball at the right-hand corner of the post in the 28th minute. Unfortunately, Croatia could only hold on to the equalizer for 10 minutes. A corner from France in the 33rd minute saw the ball touch Perisic’s hand while he was marking Matuidi. As the French players appealed for a hand-ball, referee Nestor Pitana decided to consult VAR and after a lengthy deliberation, awarded the penalty to France; an ill-fated, but correct decision. Griezmann slotted the penalty home in the 38th minute, giving the lead to France, meaning they would go into the half-time maintaining this 2-1 lead. The second half commenced with Croatia dominating the early minutes again. In the 48th minute, Rebic forced Lloris to tip his shot over the bar, which was definitely moving towards the goal. Things changed in the 59th minute when Paul Pogba scored a magnificent goal, finishing the attacking move which he started himself. He laid off the ball to Mbappe, whose return ball to Pogba found him outside the box and while Subasic saved Pogba’s first shot, the rebound steered past him into the bottom left corner of the goal. 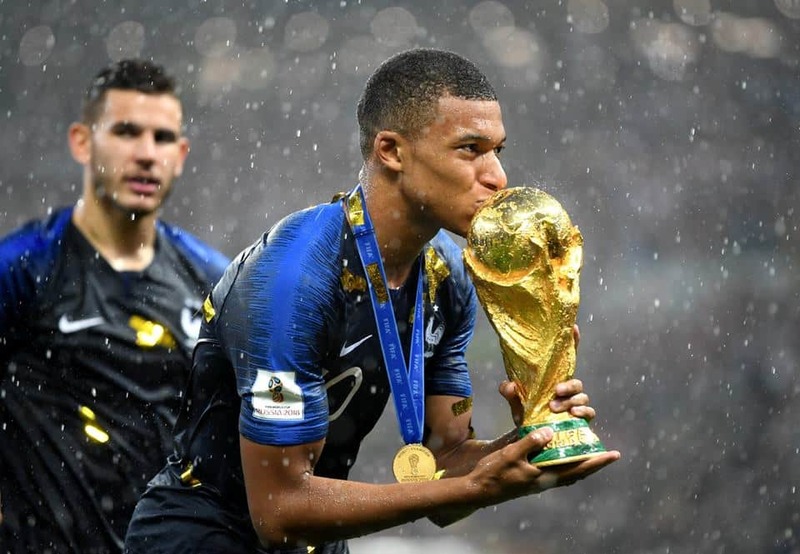 With a 3-1 lead now, France threatened Croatia more on the counter and Kylian Mbappe became the second teenager after Pele to score in a world cup final when he claimed possession of the ball 25 yards from the goal and sprinted towards the penalty box, shooting at the bottom-left corner in the 65th minute. The 4-1 lead almost killed the game there for Croatia. 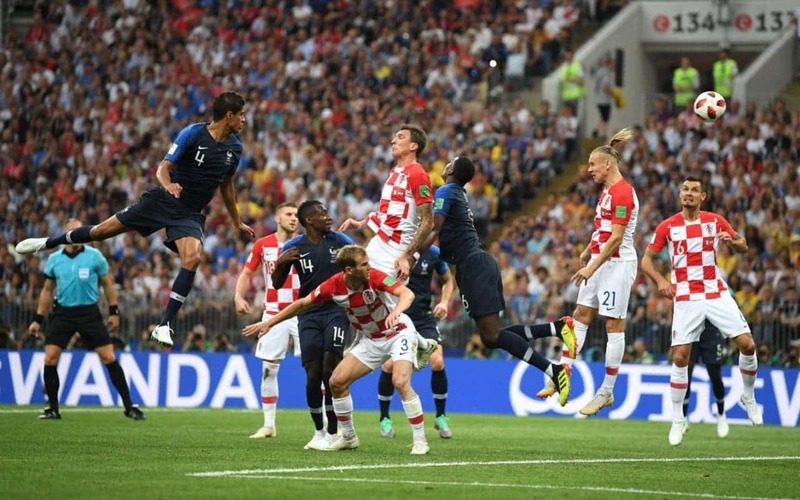 Nevertheless, keeping up with the surprises this world cup had to offer the fans, Croatia found the back of the net again when Mandzukic took advantage of an outrageous goalkeeping error from Lloris, intercepting Lloris’ return pass to Giroud and forcing the ball inside the net in the 69th minute. With the score reading 4-2, a rejuvenated Croatia moved forward with the ball and threatened to score a goal again. But the French defense kept them at bay. Both the teams produced goal-scoring opportunities afterwards, but failed to convert them to goals. France held on to their lead till the end and clinched their second world cup trophy 20 years after they won their first. The French players and staff erupted in joy celebrating on the pitch while the Croats looked on in frustration. 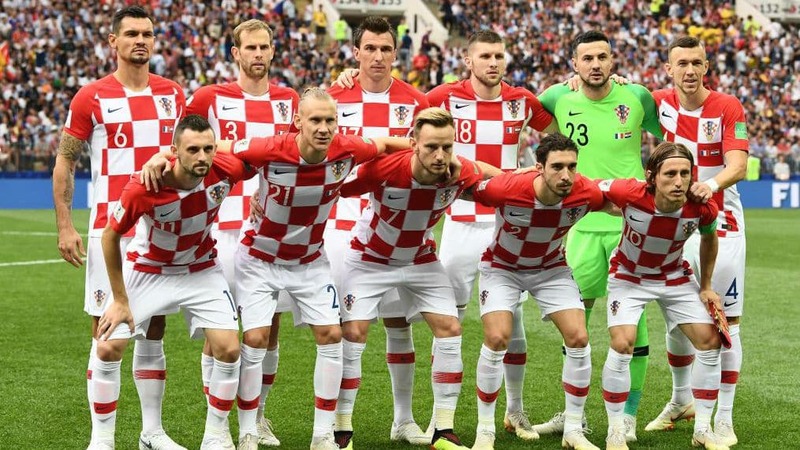 Croatia were hard done by on the most important night of their football history. Despite having 61% possession, they were very unlucky to concede the first two goals and then concede two more due to the sheer brilliance of Pogba and Mbappe. France, on the other hand, were very clinical on the field and had luck on their side. Their interceptions were precise and the counter-attacks were quite deadly. In the end, the individual brilliance of Griezmann, Pogba and Mbappe carried them through. Additionally, this was a treat to the eyes for neutral fans since none of the teams backed down before the final whistle. 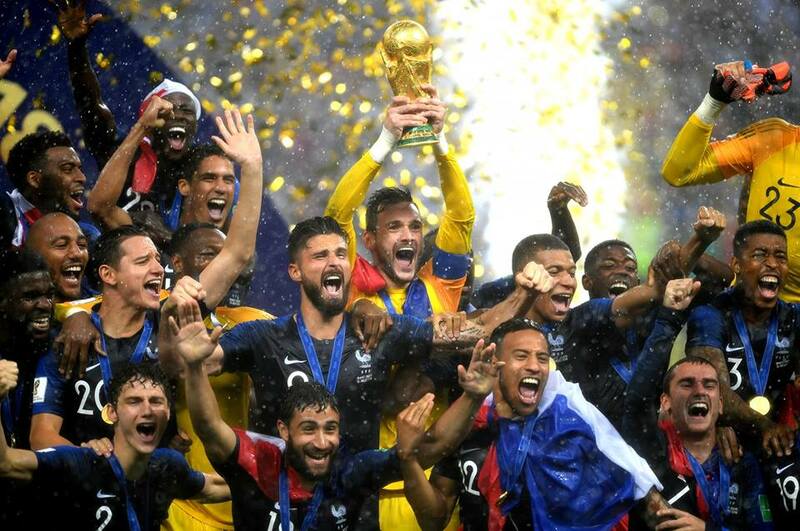 Hugo Lloris lifted the trophy for France and the jubilant French squad along with their team staff posed with the trophy, celebrating their victory. The Croats came very close to the ultimate glory but fell short to a well-deserved champion side. This young and immensely talented French side have a lot to offer the football fans in the upcoming years. Whether they can do so remains to be seen. But for the time being, France are indeed on top of the world. The fans have encountered a spectacular world cup this year, probably the best of the 21st century and one of the best world cups of all time. They will eagerly wait for the next world cup in 2022 in Qatar. Till then, Прощай мир and allez les bleus!